Wedding speeches are always nerve-wracking. From landing your jokes in a crowd who may have never met you before, to carefully choosing which hilarious anecdote to include and which to leave out, wedding speeches can be a minefield no matter how many times you’re told to imagine the room naked. To help all those who have to ‘say a little something’ at upcoming nuptials, here’s a list of handy tips and tricks to make sure your speech is a success. Although there may be a lot you want to say, it is better to keep speeches short, preferably under six minutes. Sticking to a short speech will help you to deliver your points in a polished and efficient way, rather than rambling your way through with no real direction. A good speech should have a clear beginning, middle, and end and should keep the audience engaged throughout. 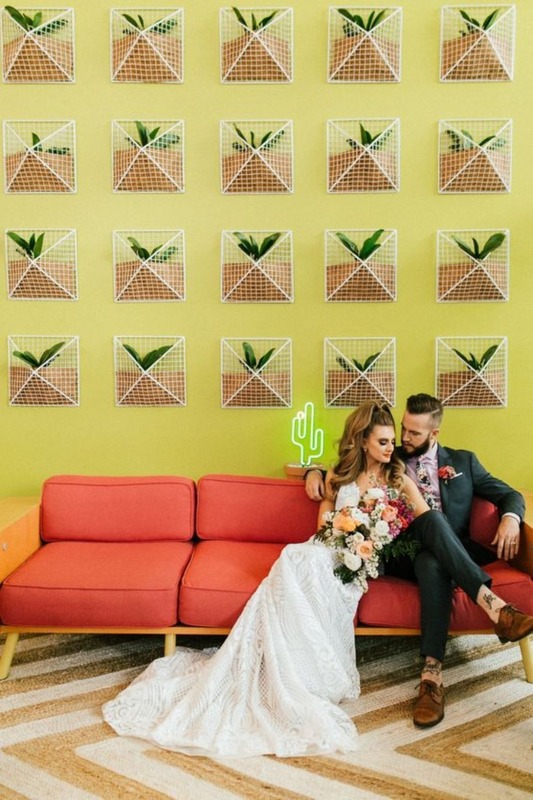 You'll be walking on sunshine when you check out the rest of this cactus-themed wedding here! Feeling nervous before giving a speech is normal, but if your palms are sweating and you start seeing double, the speech you have spent so long practicing may not get the delivery it deserves. Staying calm before and during the speech is easier said than done, but there are some things you can do to that will help. Firstly, consider staying away from the bar until after the speech has been delivered. You could also try removing your shoes, this may not be the most sophisticated move, but it has been found that feeling the ground beneath your feet can help to cool you down and keep you centered. If that doesn’t work, David Brudö, CEO of the mental health and personal development platform, Remente, suggests a three-step method. First, plan for a five-minute ‘worry session’ and let yourself feel the stress and all the emotions. Second, identify the worries that you are feeling (you will notice that some, maybe most, are not really all that significant). Third, accept that you are feeling this way, and tell yourself that you can pick up this notion of worry after the speech. Love the sign below? Wait till you see the farm fresh wedding that goes with it here. 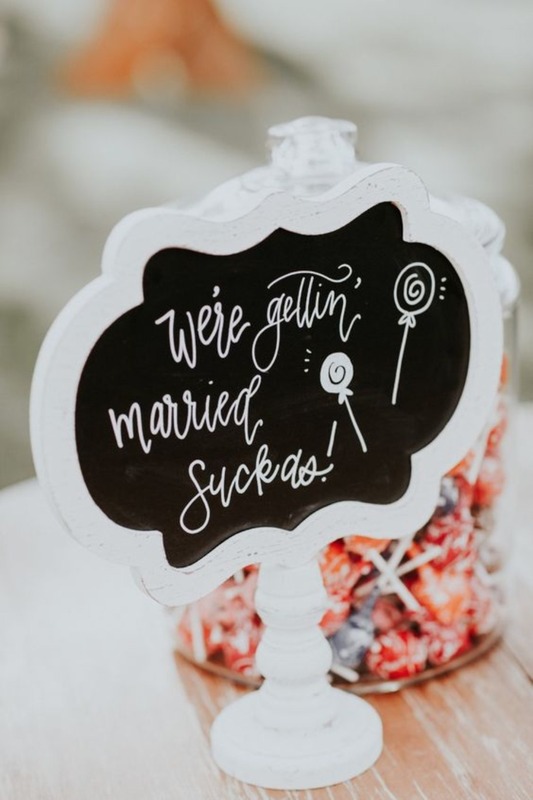 You probably already know that wedding speeches have to be rehearsed, but that isn’t the only preparation you should be doing ahead of the big day. Give yourself plenty of time for writing the speech, and always look for additional tips and tricks. Blinkist, a micro-learning platform and app, is a great source of non-fiction books to help you nail your speech. From ‘Pitch Perfect: How to Say It Right the First Time, Every Time’ by Bill McGowan and Alisa Bowman, which gives you all the insight into effective communication, through to ‘The Story Factor: Inspiration, Influence and Persuasion through the Art of Storytelling’ by Annette Simmons, which will make your anecdotes exciting and memorable, you will never be short of advice and inspiration! For all you hopeless romantics...check out the rest of this modern chic wedding here. One of the most important things to avoid when giving a wedding speech is talking about yourself too much. When planning your speech and thinking about what to say, it is natural to think about how you feel, however you must remember that a wedding is not about one person’s thoughts and feelings, rather it should express the collective sentiment of the room. 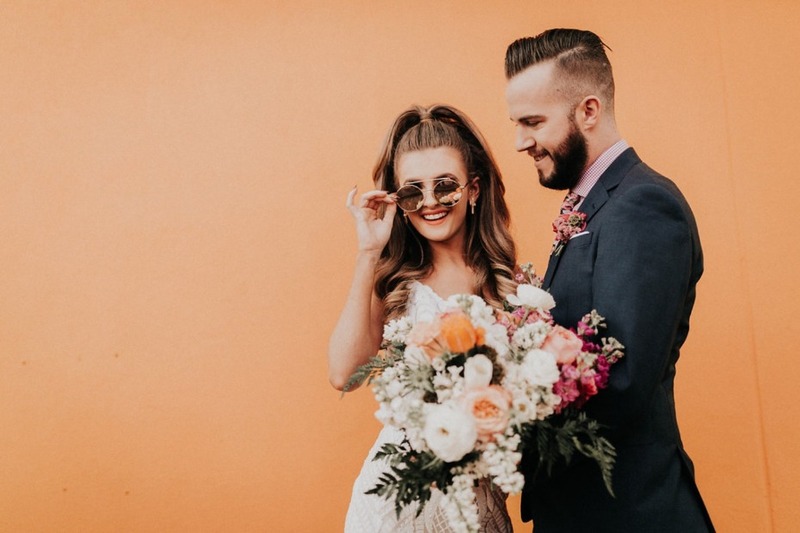 It may be that you helped to plan the wedding or were instrumental in bringing the bride and groom together, however, this is not the time to dwell on this. Instead, focus on the happy couple and try to deliver a speech that sums up the general sentiment of the guests. We're not boasting or anything...but we do love this next wedding here, and you will too! 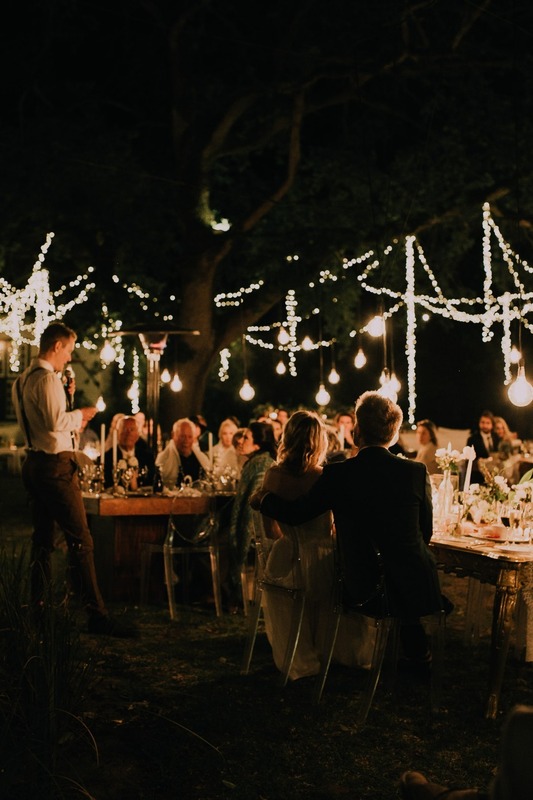 By the time you give your well-rehearsed speech, guests at the wedding may have been seated for a while and several speeches may have already been made, so if you want to ensure that yours is both memorable and entertaining, it needs to successfully engage the audience’s attention. A great way to do this is to involve the guests by including an interactive segment within your speech. Consider using a tool such as Mentimeter, an interactive presentation platform that enables you to create a presentation with features such as quizzes, multiple choice questions and polls. 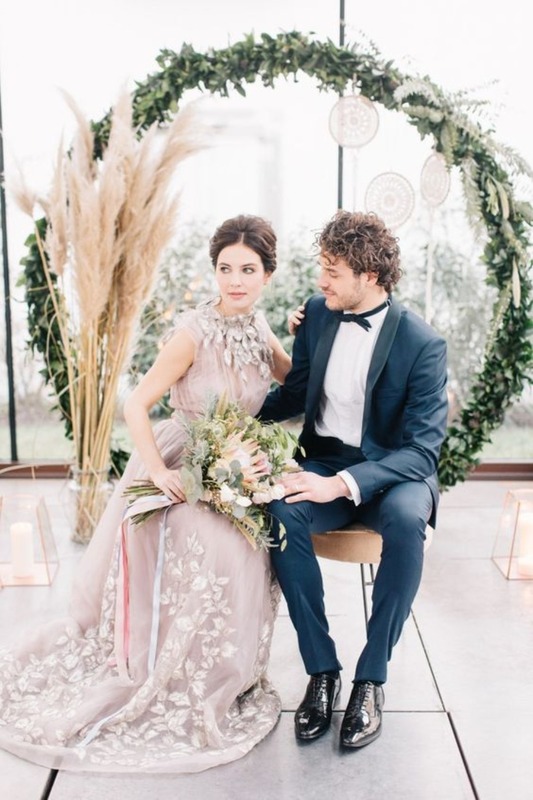 You can use this to pose both serious, and humorous questions to the audience about the bride and groom, and the wedding guests can use their smartphones to answer and share their thoughts in real time. Not only will this ensure that the audience is engaged and responsive throughout your speech, it can help provide your speech with structure, and make it even more unique. The couple below had a gorgeous wedding in South Africa, check it out here. While you may have a backlog of great anecdotes to include in your speech, it's important to make sure that you don’t include too many private jokes, or stories that the majority of the room can’t feel part of. There is nothing worse than a speech full of personal jokes, as this tends to fall flat on most of the audience. A good indication, when deciding what to include in your speech, is to think ahead and work out whether just a handful of people in the room will find the story funny, or if the majority will enjoy it. Do Star Wars references ever get old? We don't think so! 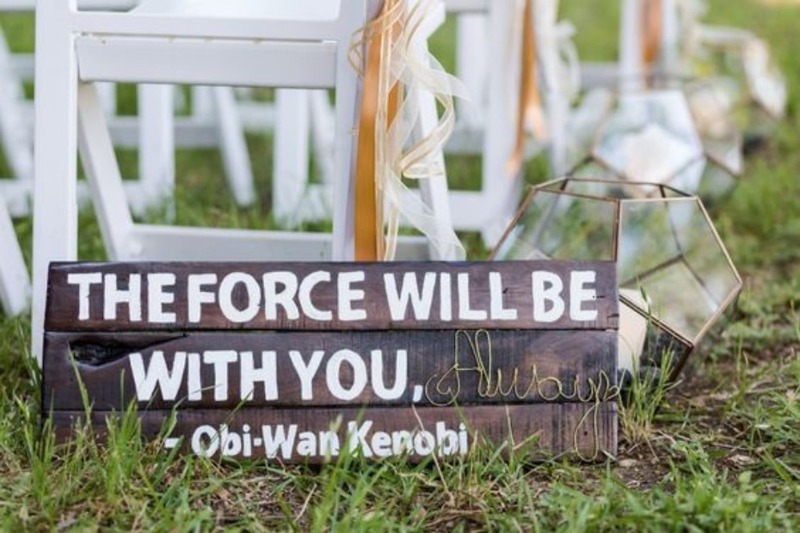 Check out this Star Wars wedding here. 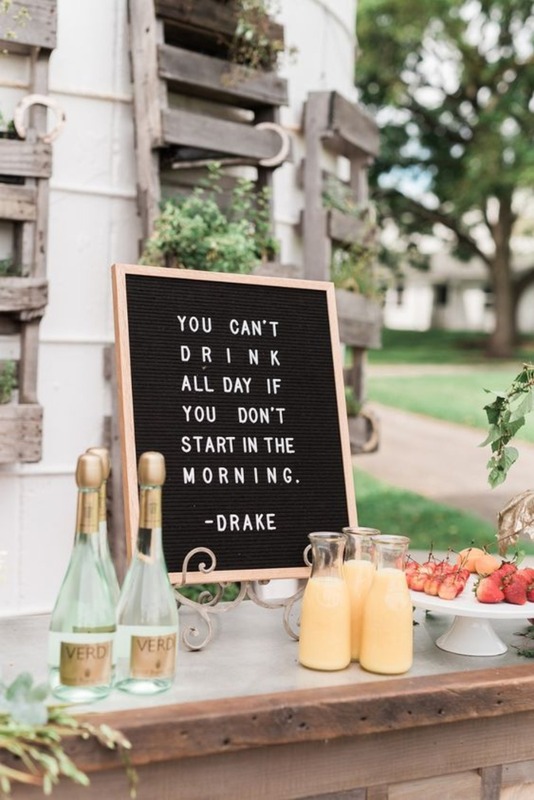 Wedding speeches differ from wedding to wedding – some might be highly humorous, while others are reflective and emotional. However, one thing that never changes is the focus – the newlyweds. You want to make sure that the speech is well-received by them, the soon-to-be in-laws and the guests, but if half of the couple is from one country, and the other half from another, suddenly, the risk of jokes falling flat or being misunderstood dramatically increases. 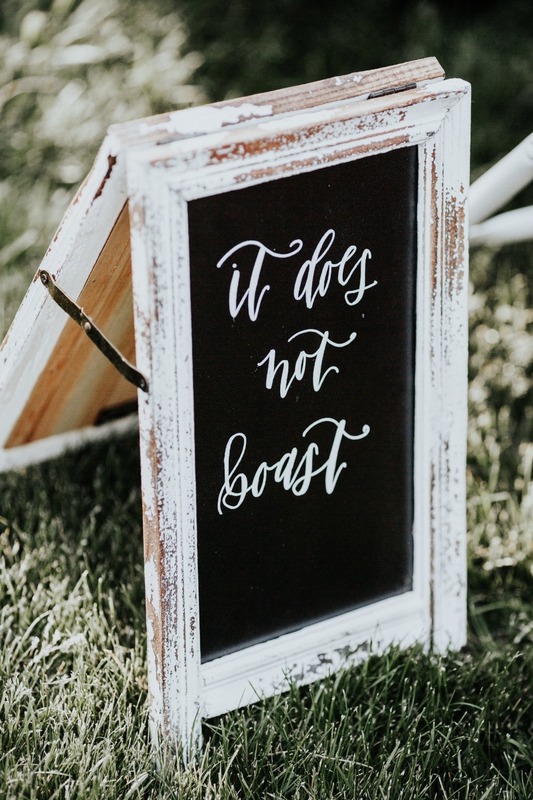 Nothing beats a good wedding pun! Check out this pun-tastic day here.